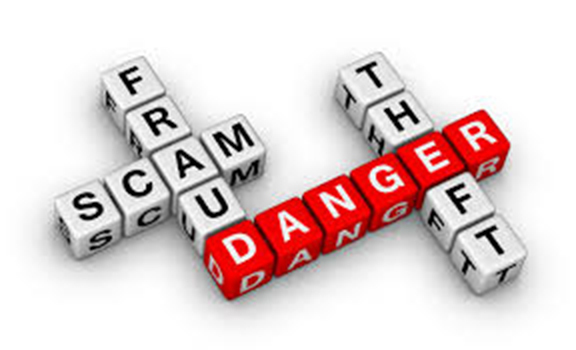 If you have any vulnerable friends or relatives please alert them to the latest scam. 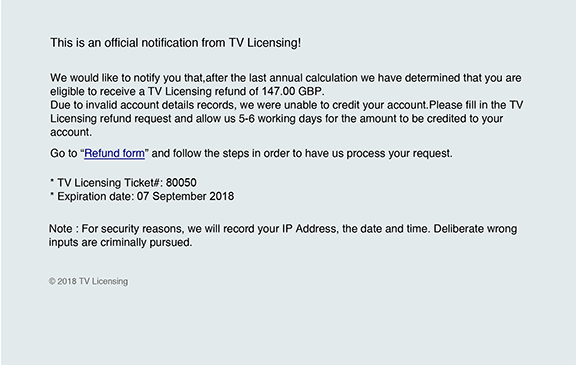 Emails, purporting to be from TV Licensing are being sent offering refunds. It’s a scam – don’t hit the hotlink just send it to your computer’s trashcan.